Hostels in Te anau and Milford Sound. Where can you stay on a budget in the Te Anau and Milford Sound area? Milford Sound is famous for it’s stunning scenery, but it’s also famous for an incredibly lengthy drive to get there especially from Queenstown. Why not stay closer to Milford Sound by staying in one of these backpacker hostels in Te Anau and Milford Sound? There’s so much more to explore in the Fiordland National Park than just a Milford Sound cruise. Make the most of your stay in Te Anau and Milford Sound by stopping at all of these 15 Stops You Can’t Miss on the Road to Milford Sound. There are also heaps to do in Te Anau too, such as these 5 Incredible Multi-day Hikes in the Fiordland National Park. 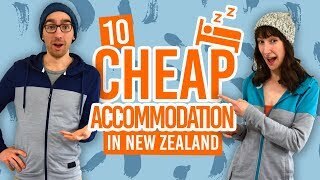 So here are what we consider some of the best backpacker hostels in Te Anau and Milford Sound. As the closest accommodation to Milford Sound, Milford Sound Lodge couldn’t be more convenient for exploring the Milford Sound area. They even have a free shuttle to take you down to the waterfront. Milford Sound Lodge has all types of budget accommodation from backpacker dorm rooms to powered sites for campervans. By being surrounded for Fiordland forest, expect regular visits from kea parrots and wake up to the sounds of other native birds. Experience a bit of Kiwi country living at the Barnyard Backpackers, a homely hostel situated just a short drive from Te Anau town centre. Barnyard Backpackers offers some excellent views of the surrounding hills while having all the necessities for a budget-friendly stay. Wi-Fi (100mb free), a spacious kitchen, pool table and more are included. For a central location to the Fiordland National Park and Lake Te Anau activities, try Te Anau Lakefront Backpackers. As the name suggests, this hostel in Te Anau is located on the lakefront and a short walk from everything you will need in the town of Te Anau. Relax in one of the three lounge areas after a long hike. Check Te Anau Lakefront Backpackers out! On the edge of Te Anau town Bob & Maxine’s Backpackers is a spacious and well-equipped backpackers with everything you’ll need. Make use of the BBH discount and the nearby alpaca farm that has been entertaining guests for years. Gunn’s Camp is a characterful camp that features in our 13 Most Unique Backpacker Hostels in New Zealand. The camp, with backpack-style bunks in cabins, is down the Hollyford Road just off the Milford Sound Road. In the heart of Fiordland National Park, enjoy the isolated serenity the camp has to offer. In the centre of Te Anau, YHA Te Anau is ideally located to all the local services. Make use of the free Wi-Fi and fresh herbs from the edible garden. Remember to use your YHA discount if you are a member. More information on that can be found in BBH, YHA, BASE or NOMADS: What is the Best Hostel Network? Check YHA Te Anau out!